We had an invigorating guided walk on the Kingsland Landfill today. 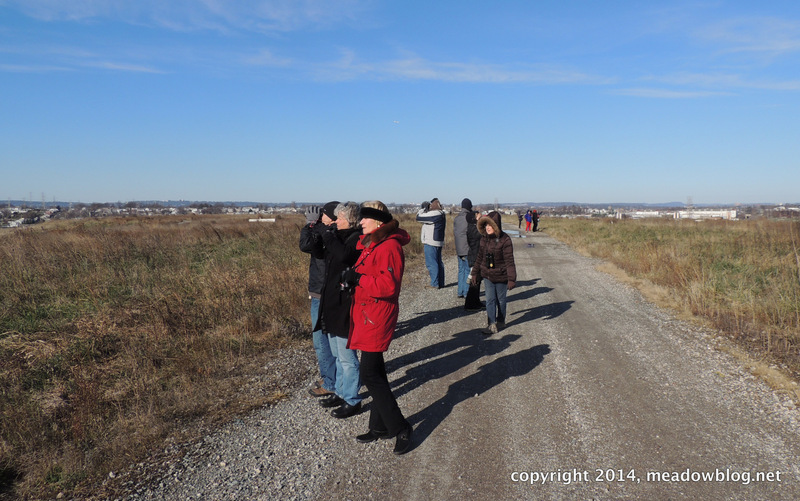 Highlights included a Light-morph Rough-legged Hawk and spectacular views of the Meadowlands. A nice write-up about today’s walk is on the front page of The New York Times’ sports section this morning. Bottom line, according to The Times: It sure beats watching the Jets or Giants. Scroll down for more information on the walk. Link to The Times story is here.